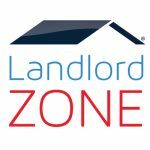 Home LandlordZONE Update Buy To Let: Which Areas Receive the Best Return on Investment? Buy To Let: Which Areas Receive the Best Return on Investment? According to latest statistics more than 25% of UK landlords who let out a single property are only managing to break even or worse, they’re making a loss. The National Landlords Association (NLA) have also found that 19% of landlords that own and let multiple properties are not making a profit, they too are breaking even or recording a loss. But the buy to let market is still booming, the number of services available for BTL mortgages is the highest it has been since 2008. According to an article from Property Wire there were 466 buy to let products available in July 2013, since then there has been a 42.7% increase bringing that number up to 665. There is still a constant flow of new landlords coming on to the market as well as existing landlords continuing to update their portfolios. London has the lowest statistics in the country when it comes to home ownership, with 48% of properties belonging to the private rental market. With this in mind you may be thinking that the capital is the best place for return on investment for landlords. In reality, some of the lowest yields in the country are coming from the London areas. Recent and rapid price increases in the London property market has far outpaced the rise in rent leaving landlords struggling to break even. Kensington and Chelsea are two of the very worst parts of London for rental yields; with average house prices coming in at around £1.2million and the average monthly rent around £2,968 the gross rental yield is a very small 2.88%. So Where Are the Best Places for BTL Landlords? With central London offering the worst return on investments for landlords, it’s actually the North of England that offers the best let returns for our UK landlords. Landlords looking for the very best buy to let yields the UK can offer need to be looking to invest in properties in the North West, North East and the West Midlands where you would be looking at an annual yield of around 6.4%. There are a few UK cities that are smashing that average; landlords in Southampton could currently be looking at an impressive 8.73% rental yield. Manchester, Nottingham, Blackpool and Hull are holding onto annual yields of 7.98%, 7.67%, 7.63% and 7.47% respectively. Wales also provides promising returns on investment with an average yield of 6%, Scotland provides around a 6.2% yield, with the East Midlands just inching ahead with landlords expecting around a 6.3% annual lead. These areas which promise the best return on investment all have something in common, low house prices combined with a huge demand for rental property from a large student population as well as young professionals looking for affordable living arrangements. These are all aspects that both buy to let landlords that are new to the market as well as existing ones need to take into consideration in order to see a decline in the 25% of landlords who are currently making a loss. This guest post was written by marketing blogger Meredith Watts, in association with CIA Insurance – providing specialist insurance for UK based landlords. Next articleWill Help to Buy Work in Wales?